just for fun I thought I'd share this treasury that our signature bloom clutch was featured in today. 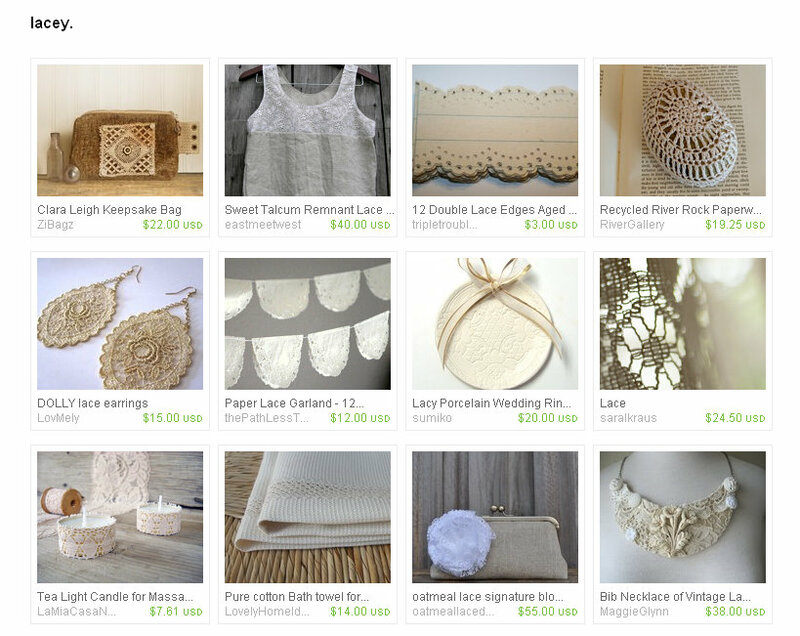 I just can't get over how much I love lace- all the varieties, colors and textures. love love love. you can check out all the included lovelies here. summertime fun with collared greens.